Kick off your visit on the 16th (Wed): hit the slopes at Pyhatunturi and then identify plant and animal life at Kopara Reindeer Park. For photos, traveler tips, reviews, and more tourist information, go to the Pyhatunturi trip planner . Tel Aviv, Israel to Pyhatunturi is an approximately 13-hour flight. Traveling from Tel Aviv in October, expect Pyhatunturi to be colder, temps between 3°C and -2°C. Finish up your sightseeing early on the 16th (Wed) so you can travel to Salla. Salla is a municipality of Finland, located in Lapland. On the 17th (Thu), hit the slopes at Salla Ski Resort, then examine the collection at Salla Museum of War & Reconstruction, and then steep yourself in history at Paikanselan Taistelualue. To see more things to do, maps, and more tourist information, use the Salla trip planner. Traveling by car from Pyhatunturi to Salla takes 2 hours. In October in Salla, expect temperatures between 3°C during the day and -1°C at night. Wrap up your sightseeing on the 17th (Thu) to allow time to travel to Inari. Start off your visit on the 18th (Fri): relax in the rural setting at Reindeer Farm Petri Mattus, experience rural life at Inari Reindeerfarm, and then see the interesting displays at Siida. Get ready for a full day of sightseeing on the next day: pause for some serene contemplation at Pielpajarvi Wilderness Church, head outdoors with Lake Inari, and then take in the spiritual surroundings of Saint Tryphon Pechenga Orthodox Church. Find out how to plan Inari trip without stress by asking Inspirock to help create an itinerary. Traveling by car from Salla to Inari takes 4.5 hours. October in Inari sees daily highs of 3°C and lows of -2°C at night. Cap off your sightseeing on the 19th (Sat) early enough to go by car to Akaslompolo. 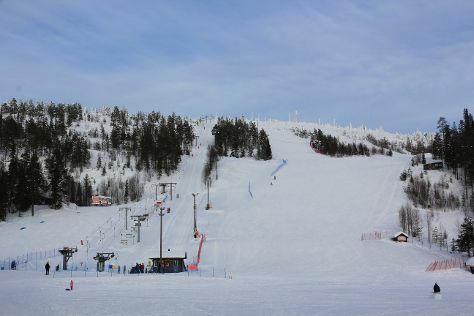 On the 20th (Sun), head outdoors with Scandinavian Adventures and then fly down the slopes at Yllas Ski Resort. For maps, where to stay, and other tourist information, refer to the Akaslompolo trip itinerary builder . Drive from Inari to Akaslompolo in 4 hours. Alternatively, you can take a bus. Expect a daytime high around 3°C in October, and nighttime lows around -3°C. 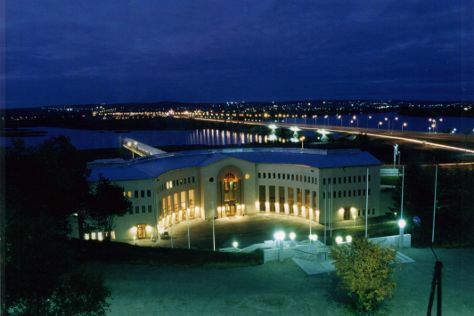 Finish up your sightseeing early on the 20th (Sun) so you can go by car to Rovaniemi. On the 21st (Mon), stroll through Ounasvaaran Hiihtokeskus Oy, then take an in-depth tour of Arktikum, and then explore the different monuments and memorials at German Soldier s Cemetery. To find more things to do, where to stay, photos, and tourist information, you can read our Rovaniemi online sightseeing planner . You can drive from Akaslompolo to Rovaniemi in 2.5 hours. Alternatively, you can take a bus. In October in Rovaniemi, expect temperatures between 3°C during the day and -1°C at night. Wrap up your sightseeing by early afternoon on the 22nd (Tue) to allow enough time to travel back home.